Thanksgiving is all about gathering and sitting together with the people you love to share a meal. If your crew is anything like mine, the younger family members don’t actually want to “sit” for very long 😄. 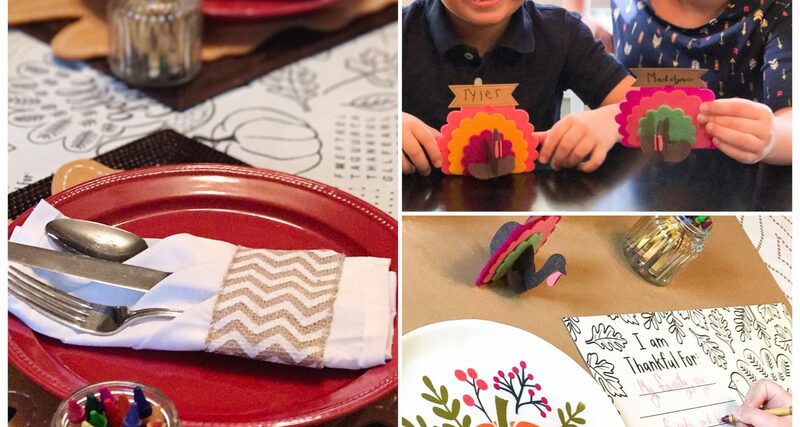 Below are a few simple ideas and easy “add to the shopping cart” items to ensure a happy, longer gathering around your Thanksgiving table. 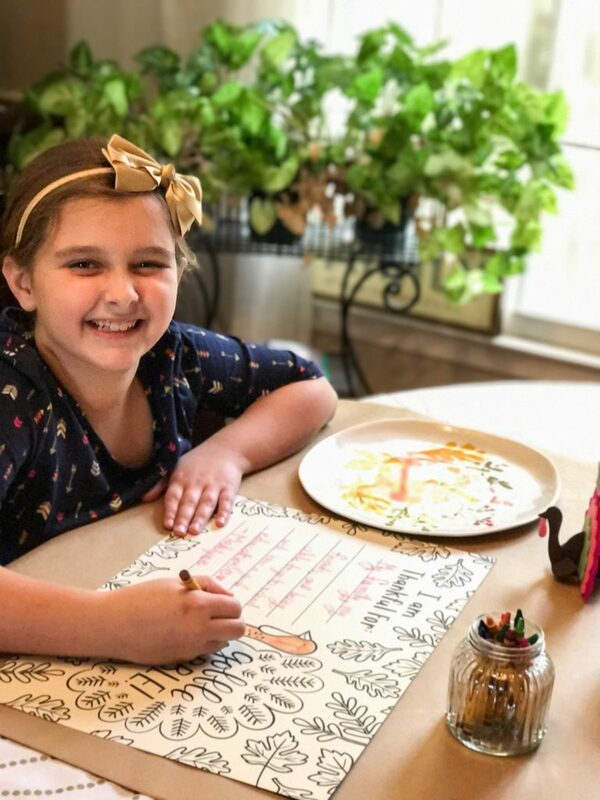 I credit our Mom with the idea of putting the kids in charge of place cards/place card holders each year. She always has a craft ready to go when we get there and it keeps them happy and busy while the final dinner prep is underway. Ooorrr maybe time to relax and catch up with a few less “mommy, hey mommy, mommy want to play?” haha. 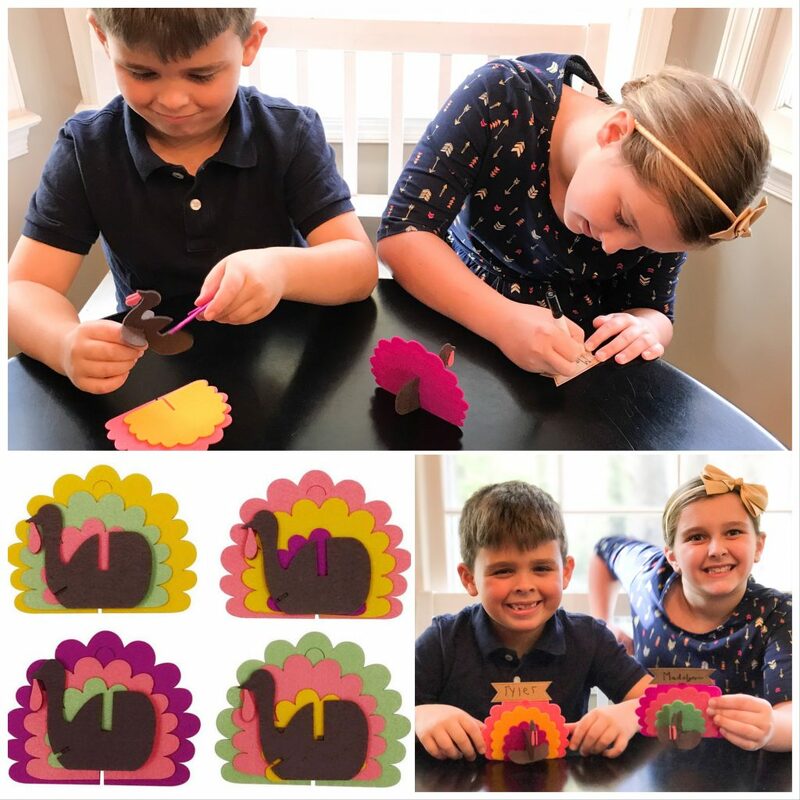 Target has made this cute turkey place card craft super easy with no prep work or glue necessary! $3 for a set of four turkeys. 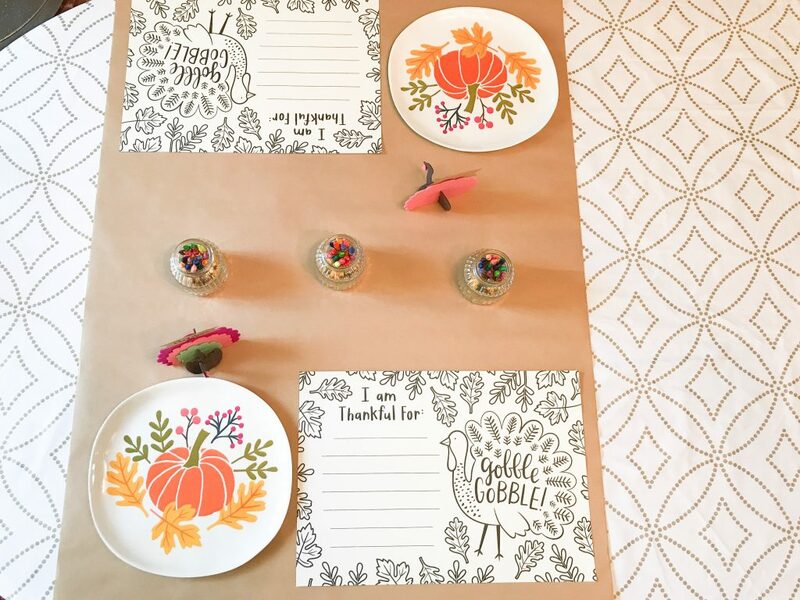 A way to save your pretty table cloth AND provide a coloring surface for the kiddos? 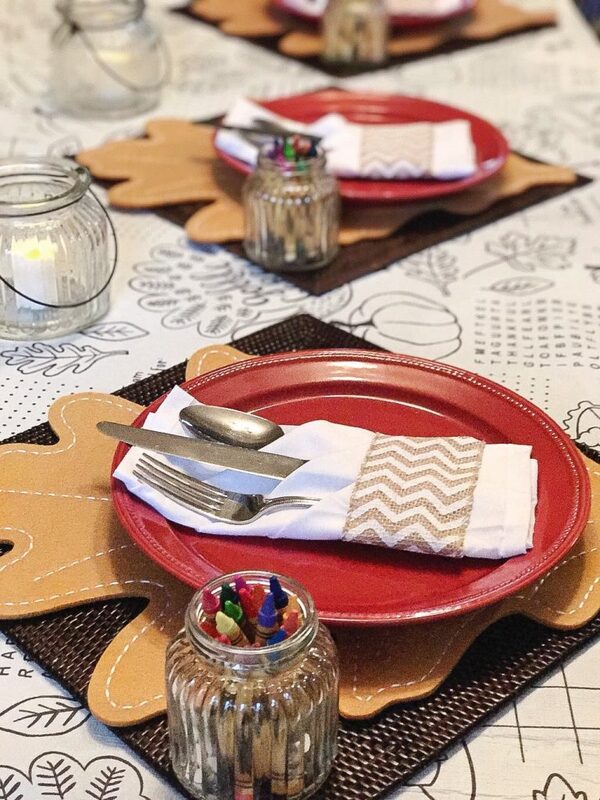 We purchased a roll of kraft paper, laid it over the edge of the table for a “Kid’s Table” section, threw in some crayons and Target’s Color-in Placemats for inspiration. 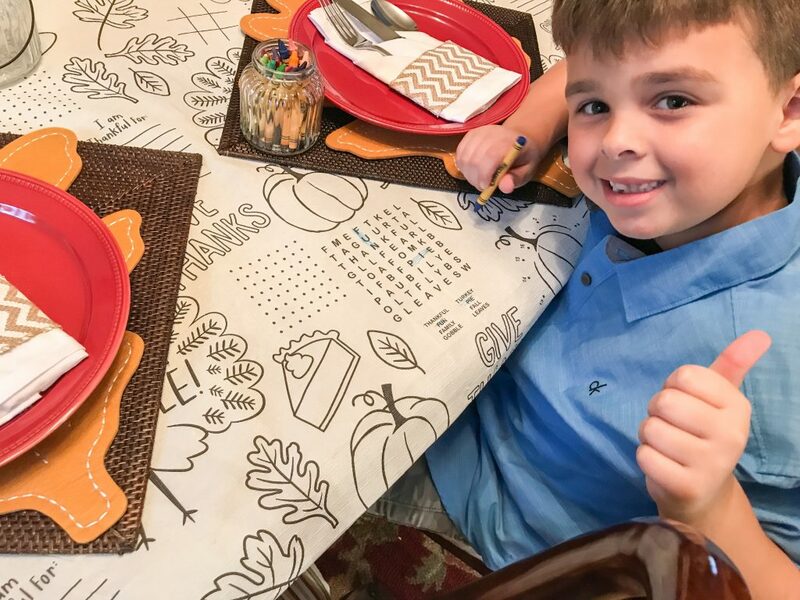 $3.50 for a pack of 10 placemats. Wishing you all a very Happy Thanksgiving! Gobble gobble!